Amid an escalating crisis within Chinese telecom firm ZTE, Chinese leader Xi Jinping spoke at a conference for Chinese state scientists and engineers about the country’s need to become technologically self-reliant. “Only when we have fully grasped key technologies, can we fundamentally protect the country’s economic and national security,” Xi said on May 28, according to a transcript published by state-run media Xinhua. Operations have screeched to a halt at China’s second largest telecoms company, after the United States imposed a ban that prohibited U.S. companies from selling tech parts or software to ZTE. 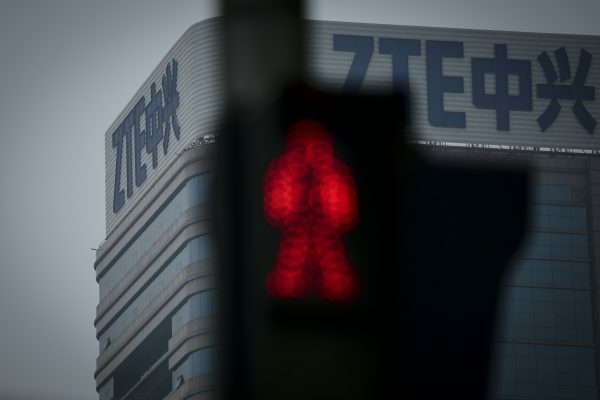 The penalty was issued in April after ZTE was found to have defied terms of an agreement it signed in 2017 for violating U.S. sanctions against Iran and North Korea. ZTE relies heavily on U.S.-imported chips and optical modules for manufacturing its smartphones. A 2016 report released by a Chinese regime-affiliated think tank found that the firm purchased 53 percent of its chips from American firms, worth $3.1 billion. It predicted that any U.S. sanctions would have a detrimental effect on ZTE and the Chinese tech industry in general. The recent ZTE ban has only highlighted the innovation gap China still faces as it struggles to produce the chips critical to manufacturing practically all electronic devices. In fact, semiconductors make up one of China’s largest import categories by value. 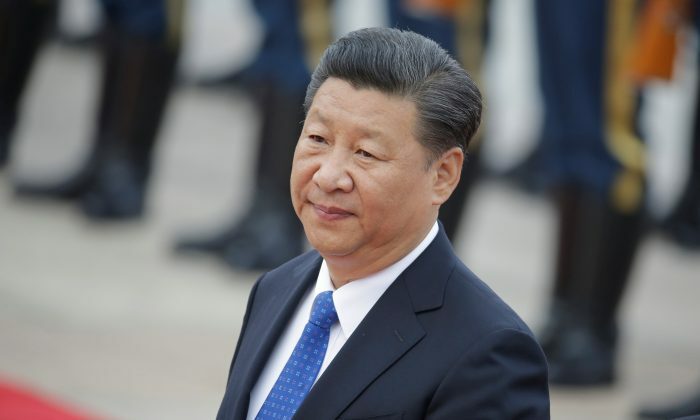 Xi’s recent speech demonstrates how politically important—and urgent—the Chinese regime views tech innovation, as ZTE has become ensnared in broader trade negotiations between China and the United States. U.S. President Donald Trump’s administration is currently negotiating a way for ZTE to continue running its business in exchange for China eliminating tariffs on U.S. agricultural goods or agreeing to buy more U.S. imports, sources have told Reuters. The Chinese regime had earlier outlined in its economic plan, Made in China 2025, how it seeks to attain self-sufficiency, and then eventually dominate global supply chains, in 10 major tech sectors. The United States’ punitive tariffs on Chinese tech products, announced in March, had targeted Made in China 2025 as evidence of the Chinese regime’s strategic scheme to acquire and steal intellectual property for its national interests. ZTE fit into that mold. Taiwan tech publication IP Observer found that between 2009 and June 2017, ZTE was the defendant in more than 140 patent lawsuits in the United States. Around the world, it faces over 240 lawsuits, including in China, Germany, Holland, France, Canada, Australia, and India. Back in October 2017, the U.S. Commerce Department published its investigation of ZTE, detailing how it engaged in shady practices in its dealings with Iran, such as labeling transactions with Iran as Qatar instead; offering monetary awards to staff to complete projects with Iran; and finding third parties to act as middlemen for shipping goods there. Tech website Techcrunch also found that ZTE refused to pay royalties for using other companies’ intellectual property.